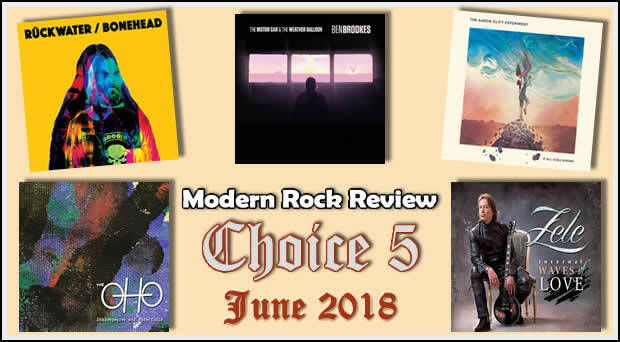 Modern Rock Review’s Choice 5 for June 2018 highlights North American artists Beyond the Grey, Nick Black, The Divided Line, Fox and Coyote and Heyoka’s Mirror. 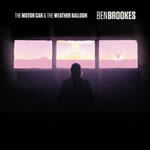 On his debut LP, UK native Ben Brookes draws from a plethera of classic rock influences ranging from The Beatles to Pink Floyd to The Smiths. Some highlights include the songs “Asleep In Galilee” and “Crack a Smile”. 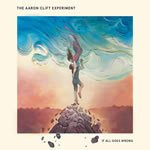 Austin based prog-rockers The Aaron Clift Experiment combine dark themes with well developed and produced musical themes on If All Goes Wrong. Highlights from the album include the heavy jam “Last Crash”, the Queen-like pop/rocker “Better Before” as well as the slightly surreal closing title track. 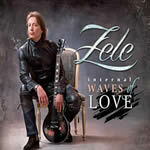 Zele is a unique guitarist, composer and producer from Croatia who incorporates some Eastern mysticism and theatrical arrangements on his album Internal Waves of Love, an album mainly featuring virtuoso guitar jams with few vocal lead tracks. 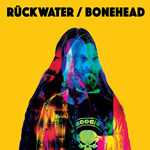 Finland’s Rueckwater delivers some harder-edge music with many cool, twangy guitars on their latest release, Bonehead. This six-song stoner rock EP is highlighted by the slightly-psychedelic “Labyrinth” and the frantically-paced “Super Frustration”. 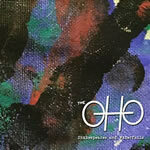 The OHO is a pop-flavored rock band from Finland who have toured worldwide before finally releasing their debut album Shakespeares and Waterfalls. Highlights from the album include the songs “Lazy Afternoon”, “All My Life” and “Waterfalls”. See you on Thursday, July 5th for the next installment of Choice 5! Modern Rock Review’s look at 5 new album releases, published on June 5, 2017.